Specialty House of Creation - Leprechaun's Gold! 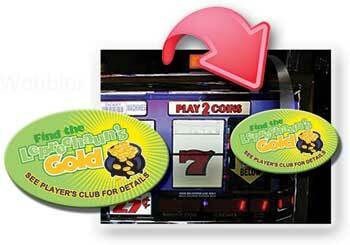 When achieving the determined point level, the Player is allowed to choose a game piece (pull-tab ticket). 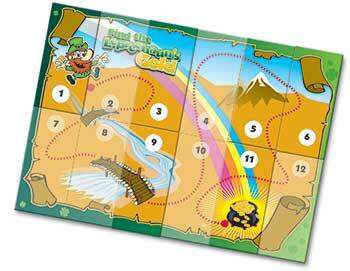 Each game piece includes one section of the 12 piece treasure map and a drawing ticket. When the Player earns each map piece (inside of game piece/pull-tab ticket), the map piece is attached to the Game Board to build their map. The Players collecting all 12 unique map pieces get to choose a Pot Of Gold Bank containing a prize (you determine all the prizes in the banks). 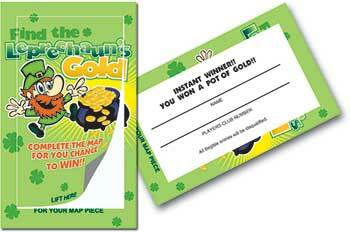 In addition to map pieces, there are Instant Pot Of Gold Bank Winners to keep the hype going! 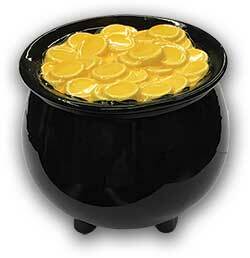 At the end of the event, there is a second chance drawing for all remaining Pot Of Gold Banks. 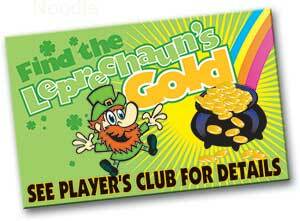 3 PACKAGES AVAILABLE: 250, 500, 1000 Pot Of Gold Banks. Call for pricing and complete details!